Elderly neglect in nursing homescan have a devastating impact on seniors, often resulting in serious injury and sometimes death. Unfortunately, the elderly are very vulnerable. Evidence of nursing home negligence is found far too often. 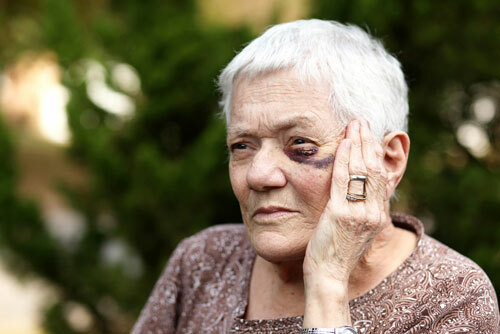 Nursing home negligence can include physical abuse, sexual abuse, and emotional abuse, in addition to failure to provide proper care for residents. Nursing homes must enforce policies that are designed to ensure the safety of residents, and they can be held responsible for the actions of its staff members. Nursing home negligence attorney Jorge P. Gutierrez Jr., is a Board Certified Civil Trial Lawyer who can provide experienced legal representation in cases of nursing home neglect. One of the major causes of nursing home neglect is understaffed facilities. This is a growing concern, considering information from the 2010 Census alone. According to the census, 40.3 million people were age 65 or older at that time, accounting for approximately 13% of the population. As the elderly population continues to grow, the number of negligence cases is likely to grow, as well. Another cause of nursing home neglect is that members of a patient’s healthcare team fails to communicate with the patient, family members, and other care givers. Fraudulently concealing mistakes in nursing homes is another common problem of neglect that has been identified in nursing homes. Incidences of negligence frequently go unreported in nursing homes, and family members are not aware of the problems. It has fallen to family members to be diligent and proactive in monitoring their loved one’s level of medical care and quickly reporting suspicious actions. The Gutierrez Firm and their investigative team helps clients investigate nursing home negligence claims by examining medical records and other evidence that can support legal actions to seek compensation for harm resulting from negligence of the nursing home or staff. Neglectcan be intentional or unintentional. Some of the circumstances that can lead to unintentional neglect include overworked staff, underqualified or untrained staff, residents who tend to isolate themselves, and residents who are either afraid or incapable of reporting neglect. If you suspect that you have a valid claim of nursing home neglect, contact experienced nursing home attorney Jorge P. Gutierrez Jr. at The Gutierrez Firm today.